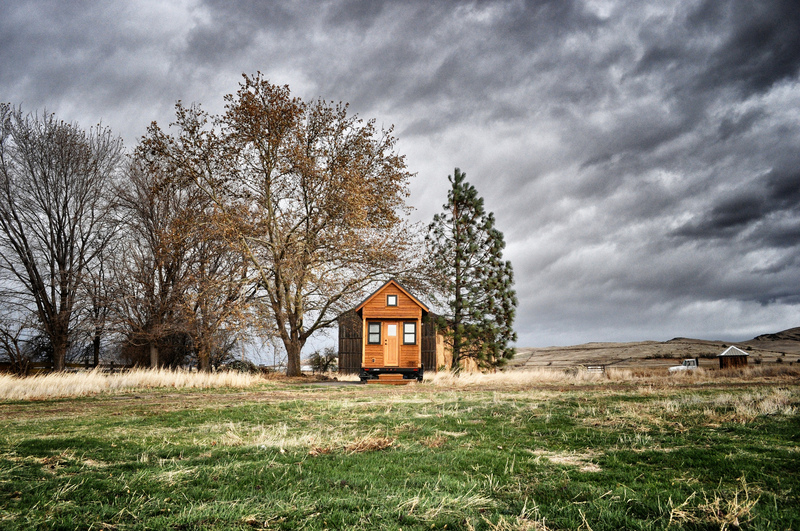 Tiny house in a windstorm by Tammy Strobel on Flickr, aka the cabin where I dream of reading, writing, and thinking for a year. I’m submitting my file for tenure and promotion to associate librarian this January, so the level of stress, anxiety, and general ARGH is up to Code Red this semester. I’m trying to stay calm, prep for classes, and work on some writing and general library projects, but one task has all of my attention at the moment: My sabbatical proposal. Applications for sabbatical leave for the 2017-2018 academic year are due to department chairs on September 15, so I have approximately 9 more days to read-revise-reread-rerevise my proposal. I’ve been through a number of edits already, and think it might just be in the right condition to submit, but my nerves and fear are stopping me. Despite the faculty status librarians at my college have enjoyed for the past decade, and our recent Board-of-Trustees-approved move to fold us into the review process by the College Evaluation Committee, this is the first time someone in my library has applied for sabbatical leave. It’s scary being the first to do something, particularly for someone like me who was always the cautious kid on the playground. Adding to the stress is the fact that my husband is also applying for year-long sabbatical leave (we’re at the same college), in hopes that we’ll be able to spend the time reading, writing, and researching in Texas. I realize that the project I propose might not be the project I end up accomplishing at the end of this leave. I fear not being granted this time to read, write, learn and hopefully offer my own thoughts and scholarly contribution. I hope that the stress of spending a year away from home with my 5 year-old son in tow will be worth the time spent away from work. I worry that a year of leave time will just make me resent my 12 month, 40 hour-a-week (on paper anyway) administrative-style faculty position, which leaves me with very little time to work on my own scholarship. I’m excited for the possibility of a break from what has felt like a rocky and overwhelming two years of work. I’ll end by doing something that scares me: Sharing my work-in-progress (but more or less complete) sabbatical proposal. It’s far from perfect and draws a lot on the work I’ll be doing this year, but writing it has me feeling hopeful for the possibility of a year of leave. I’m doing this in large part because it was extremely difficult to find existing examples of librarian sabbatical applications, and I’m hoping that I can encourage more people to share. As Tracy Clayton, one of my favorite podcasters says, “You can’t be what you can’t see.” I want more librarians to see other librarians apply for and be granted sabbatical leave. I’ll write with an update in the spring about whether or not my sabbatical application was approved. You’ll either get a joyous announcement or a supremely disappointed post, but you’ll hear from me regardless. This looks awesome! Sabbatical projects rarely end up closely resembling their proposals, but whatever you end up with is something to look forward to. Thanks for sharing it in its early stages. I hope you enjoy your sabbatical (which I also hope you get, of course!) and that reentry brings another kind of intellectual pleasure to your life. Thank you so much for your words of encouragement, Barbara! I’m just catching up after parental leave and I’m so impressed with the work you’re doing and striving to produce. Go you!!! I’m preparing my portfolio for promotion as well (in the midst of new-parent overwhelm), and it also feels like the wild west as the work we do in the library does not fit neatly or well into the promotion proceedings here. Being the first or only is never easy! I can’t wait to see what you make of this project. Meggan! Portfolio prep has been all consuming and I’m only now getting back to posting and checking comments. Good luck to you! I’m sure your portfolio is amazing. You do such fantastic work. Are you going to ACRL? I have decided to take the year off of conferences. As much as I would LOVE to go to ACRL, I get really panicky thinking about either leaving my son or bringing him with me. It’s just not for us this year. I’m attempting to double down on writing opportunities in the mean time, but I admit that I have relied on conference presentations in the past. Any and all advice on getting my writing off the ground would be appreciated! I’ll sure miss seeing you! Yesssss….let’s talk about writing. Want to schedule a chat online or phone? I’ll send you an email today!